Matsuzaki Senbei Ginza branch moved because of reconstruction and they quit cafe. They only sell senbei now. 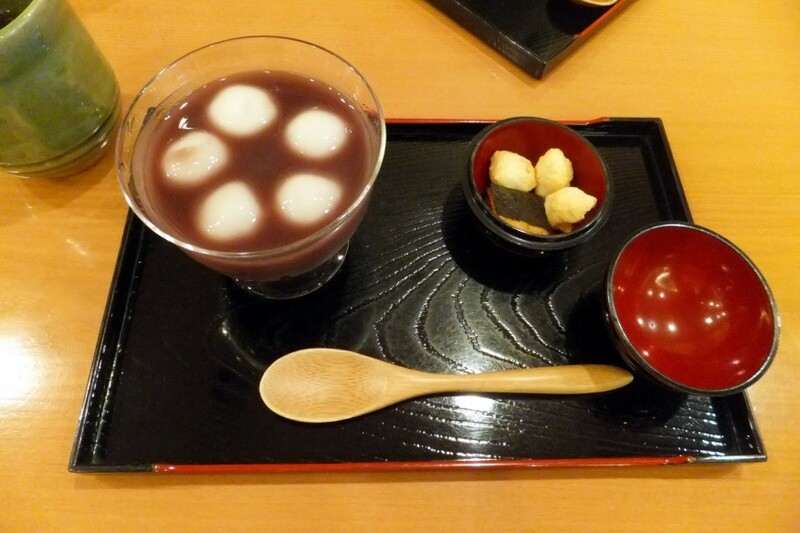 Summer-limited Japanese sweets at Kanmidokoro. I visited Matsuzaki Senbei after years interval. Matsuzaki Senbei is, as its name, they are senbei shop. They sell senbei on the 1st floor. 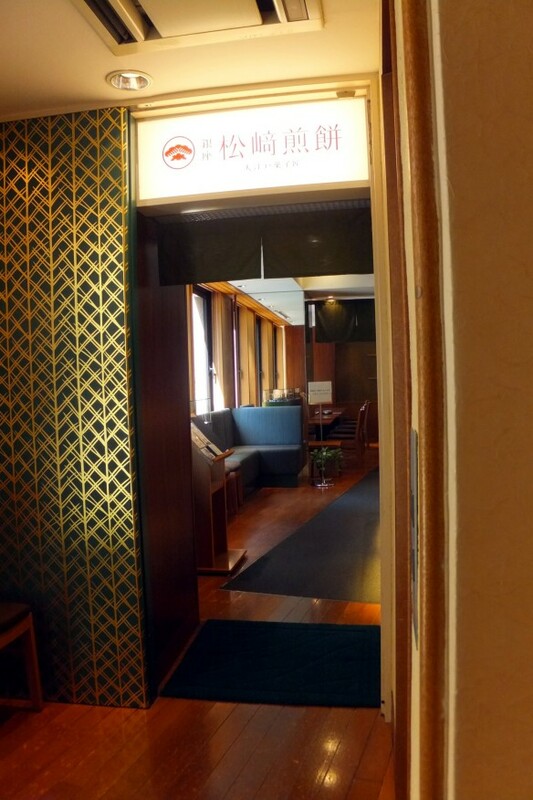 And also they run kanmidokoro (Japanese confectionery cafe) on the 2nd floor. There’s an elevator in the building. Though they have really clean and fresh atmosphere, Matsuzaki Senbei started their business in 1804. They are so popular shop and their shaved ice have high popularity, but somehow they don’t have much people whenever I go to there. Nothing has changed about their shop ! Now Matsuzaki Senbei serve shaved ice (kakigori). They serve shaved ice from May to September. Yes. Only two days left ! So, we went to there before they finish serving shaved ice in this season. Cold o-shiruko have arare (senbei). 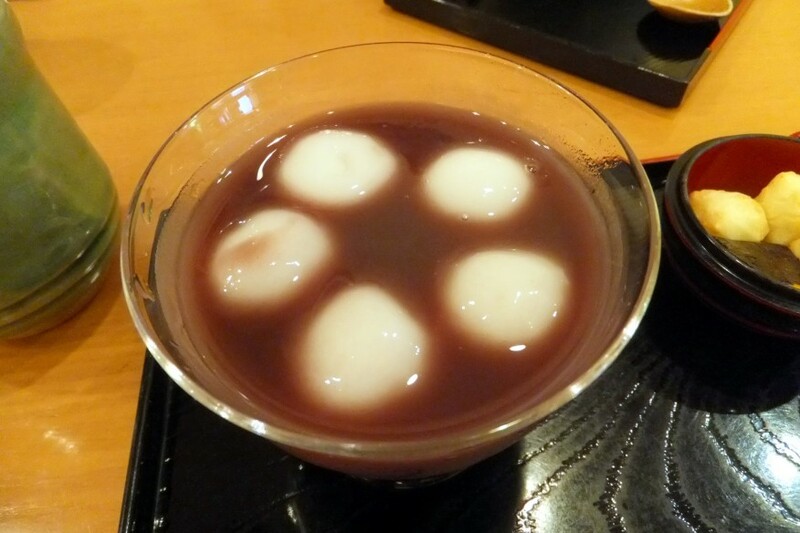 O-shiruko could be chosen one from two type of red bean paste. Strained red bean paste and smashed red bean paste. I chose strained red bean paste. Perhaps cold o-shiruko is summer limited as well as shaved ice. Warm o-shiruko could be eaten all year around. And my friend ordered shaved ice. 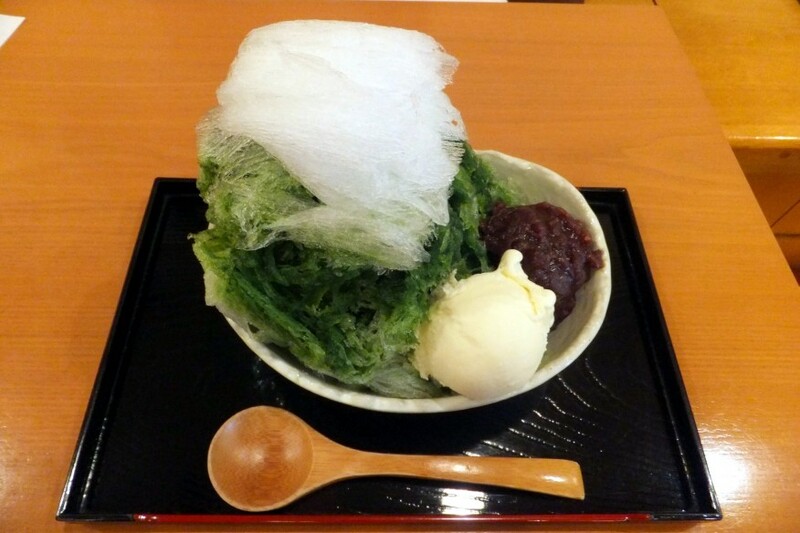 Kakigori could be ordered with toppings like ice cream, shiratama and condense milk with extra charge (+104 yen each). From its looking and its taste, the matcha syrup became much stronger than last time. It had much tastes of matcha. Fridays and Saturdays / 11 a.m. – 8 p.m.